Welcome to this week’s edition of the Social Media Marketing Talk Show, a news show for marketers who want to stay on the leading edge of social media. On this week’s Social Media Marketing Talk Show with Michael Stelzner, we explore Facebook Ads Manager changes with Amanda Bond, Twitter team management with Kim Reynolds, and other breaking social media marketing news of the week! If you’re new to the show, click on the green “Watch replay” button below and sign in or register to watch our latest episode from Friday, September 15, 2017. You can also listen to the show as an audio podcast, found on iTunes/Apple Podcast, Android, Google Play, Stitcher, and RSS. For this week’s top stories, you’ll find timestamps below that allow you to fast-forward in the replay above. In the coming weeks, advertisers will be able to easily integrate Instagram stories with the Canvas ads format. Say hello to the future. iPhone X.
Facebook Tests Meet-Up Feature: Facebook is running “a very small test” of a new feature that makes it easier to discover potential new friends by connecting users with mutual friends of friends with whom they might have other things in common and encouraging them to meet up in person. Adweek notes that all messages are kept private until both parties agree to connect via Facebook Messenger. This test is currently limited to “a small number of users in parts of Toronto and New Zealand” on iOS and Android. Facebook Experiments With Pre-Loaded Instant Videos: Facebook is testing a new feature called Instant Videos that downloads and caches Facebook videos to a phone while it’s connected to a strong WiFi signal so they can be watched later, on the go or offline. Facebook confirms that the Instant Video test is currently only available to a small percentage of Android users. These users will see lightning bolt icons on pre-loaded videos. Facebook Tests New Group Video Chat App Called Bonfire: Facebook has been quietly testing a new stand-alone group video chat app called Bonfire. 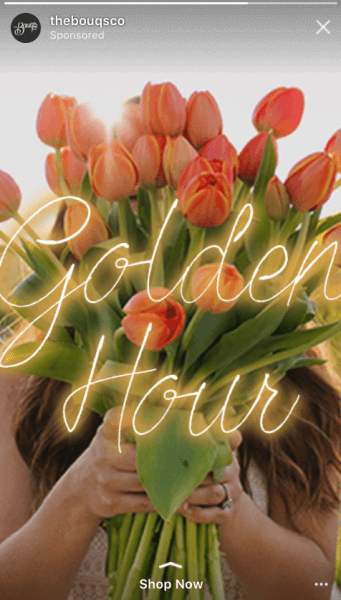 The Next Web reports that this new app allows up to eight friends to join a conversation, use special effects, and share pictures from the chats through Instagram, Facebook, and Messenger. Facebook confirmed that it’s only running a very small test of the Bonfire app in Denmark. Facebook Tests Mentorship Matching Service: Facebook is testing a new feature that matches people looking for professional guidance with potential mentors based on mutual interests, friendships, education, geographic location, and profession. Facebook Experiments With Private Personal Profile: The Next Web reports that Facebook is testing a new option to set a “private” profile that only a user’s closest friends can see. Facebook hasn’t shared any details about the test at this time, but it appears to be looking for ways to help users separate close friends from acquaintances just like on Instagram, where a favorite friends feature is currently being tested. 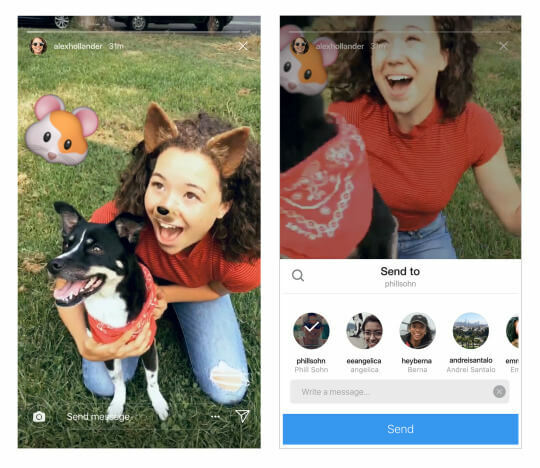 Instagram Rolls Out Ability to Share Stories Through Direct: Instagram announced that users can now privately share Instagram stories in Direct messages. Stories sent in Direct will disappear just as they typically do in the app. Instagram notes that users can disable the sharing option in their Stories settings and stories shared from private accounts can only be viewed by followers in Direct. This new feature is available on both iOS and Android. Instagram announced that users can now share Instagram stories in Direct. 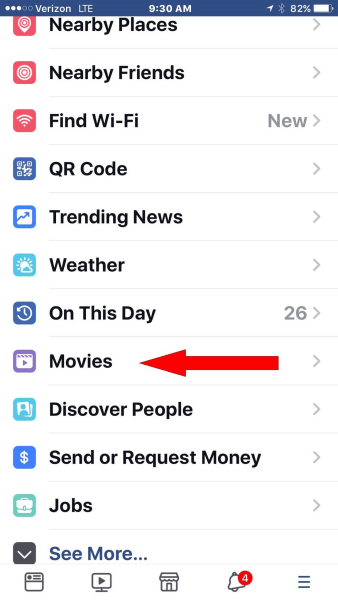 Facebook Adds Dedicated Movies Section to Main Navigation Menu: Facebook users in the U.S. have noted the appearance of a dedicated Movies section found in the main navigation of the mobile app. This new section offers a way to see what movies are playing nearby, upcoming showtimes, and a list of local theaters. The section is powered through an integration with Fandango’s and Atom Tickets’ booking services, which means that movie tickets can be purchased directly through Facebook. Facebook adds dedicated Movies section to main navigation menu of the mobile app. Instagram Tests Extended Limits for Stories Sharing: Instagram appears to be allowing select users to add photos and videos taken within the last week, as opposed to the last 24 hours, to their stories. The Next Web reports that users who have this new capability will notice that the top bar of the camera roll inside Stories will read “last week” instead of “last 24 hours.” However, the stories will still disappear within 24 hours of being shared. Snapchat Partners With College Campus Publications to Create Content for Discover: Snapchat announced that it’s partnering with “dozens of colleges and universities” to expand Publisher Stories to include campus newspapers. The editorial teams at these schools will begin producing weekly content for distribution on Snapchat and feature snap ads “to help each school monetize and grow their newspaper through a revenue sharing agreement.” Mashable reports that four campus newspapers, The Daily Californian (Berkeley), The Battalion (Texas A&M), The Daily Orange (Syracuse), and The Badger Herald (UW Madison), have already launched their first editions. More publications will be added over the coming months. Facebook Debuts Redesigned IQ Site, Highlighting Insights to Go: Facebook launched a newly redesigned website for Facebook IQ that now features an easy-access portal of all of its marketing and measurement data, white papers, and success stories on Facebook, Instagram, Messenger, and the Facebook Audience Network. 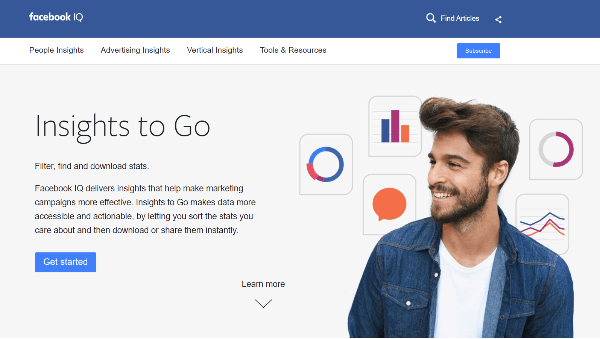 Facebook also added a new Insights to Go tool, a “discovery engine” that enables agencies and marketers to filter, find, and share relevant insights and data instantly. The new Facebook IQ experience is available to all users globally and across all screens. There are also region-specific, in-language views of the site for various countries. Facebook debuts redesigned Facebook IQ site, highlighting a new Insights to Go portal. Facebook Prepares to Spend $1 Billion on Original Video Content: The Wall Street Journal reports that Facebook could spend as much as $1 billion to fund original content initiatives for its new Watch video platform over the next year. While this figure is modest compared to what established streaming services such Netflix and Amazon budget for their original content, it’s not far from what leading cable channels spend on creating their content. Facebook Removes Instant Articles From Messenger: Facebook plans to remove its fast-loading, mobile-first Instant Articles format from Messenger. Facebook states that it plans to “continue to refine and improve Instant Articles” and is “focusing [its] investment in Instant Articles in the Facebook core app,” rather than supporting it as a part of Messenger. Facebook Releases Live API Update Aimed at Creating Professional-Quality Video: Facebook rolled out two new Live API tools that will help broadcasters create “more seamless” Facebook Live broadcasts and deliver professional-quality live video experiences to audiences. These updates include a new automated encoder configuration, which will ensure consistent, stable Facebook live streams, and frame-accurate start times. YouTube Extended HDR Support to Select Samsung and LG Devices: YouTube’s updated mobile app extended support for ultra-vibrant high dynamic range (HDR) images and video to select Samsung, HTC, and LG devices. This technology produces higher-than-average contrast between light and dark frames, and the result is a “brighter, punchier, and truer-to-life” image than likely would be available on phones that don’t support HDR. 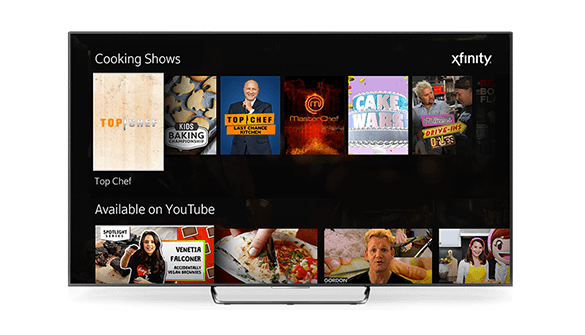 Google and Comcast Add the YouTube App Across All Xfinity X1 Cable Boxes: Comcast and Google announced that the YouTube app will be integrated across all Xfinity X1 cable boxes nationwide. This will allow viewers to consume YouTube content alongside traditional TV programming. YouTube videos will also be featured in Xfinity on Demand and will be accessible via the X1 voice remote. Comcast and Google announced that the YouTube app will be integrated across all Xfinity X1 cable boxes nationwide. Pinterest Tests Sections for Boards and Reaches Over 200 Million Monthly Users: Pinterest announced that it now reaches more than 200 million people every month and is getting “ready for a slew of new features inspired by you.” One of these upcoming new features is “boards within boards,” which will enable pinners to add sections to their boards and make it easy to organize pins. Board sections are currently being tested and will be available to all users once testing is complete. Pinterest announced that it now reaches more than 200 million people every month and will be rolling out a slew of new features soon. Want to catch our next show live? Click here to subscribe or add our show to your calendar.